Kids Club Nature Classroom is located in a small rural, southern suburb of Rochester, New York that is two acres in size. 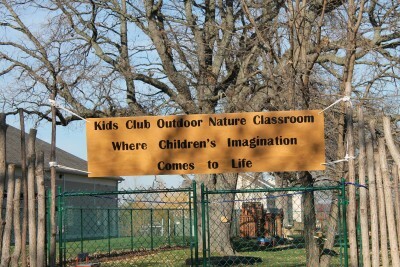 We are ecstatic to be the only child care center in Rochester’s nine surrounding counties with a nature classroom. We are fortunate to be in a location that has many businesses that have supported us throughout the process. Thanks to their donations much of the furniture and houses were hand made from recycled items such as pallets, wooden spools, tires, barrels, and old tree limbs. We added over a dozen trees and bushes purchased from local greenhouses. 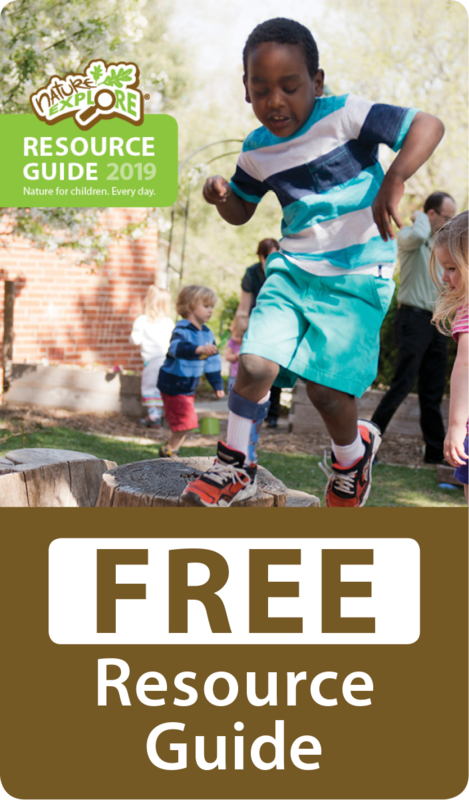 When you first enter you’ll be in the Climbing and Crawling area consisting of barrels to crawl through, teeter totters in between trees, and a variety of opportunities to balance and climbing through our obstacle course. The Imagination Station, a dramatic play area, consists of tables and chairs made from wooden spools, houses made from pallets, a fire pit, a canoe, a phone booth, and many props. In between the Imagination Station and the Music Area you’ll see a stage. The stage can be used for musical and drama performances. Our Music Area has unique items to make various sounds including pots, pans, wood, drums from cans and barrels, a handmade xylophone, and dancing ribbons with bells. As you continue on we have a very large sand area that includes a huge sandbox. Children are encouraged to add water if they’d like. On the right of the sand area is our sensory path. The path area includes a greeting area with tree stumps, a butterfly garden, a story stone area, and a Zen garden. The fun continues with our Building Area that has various types and sizes of wood, pvc pipes, Plexiglas mirrors and more. Behind the Building Area you will see our Messy Materials area with the Digging Area next to it. Our Messy Area is covered in mulch and has various tree limbs and stumps to create with. The digging area is one of the best cooperative areas we have. 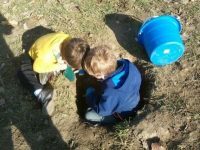 The children love digging, helping each other dig, measuring their holes, and so much more. 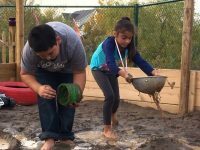 The children are encouraged to make mud pies and take them to the imagination station to cook! Our race track is surrounded by tires and flags. The children will have different types of wheeled toys to use here such as scooters, bicycles, tricycles, and wagons. There is even a ramp to go over. Lastly is our gathering area and garden area. Our gathering area has a large couch made from pallets, several teepees made from pallets for quiet reading, several large picnic tables are available, and a gathering table for nature items. Our garden consists of bird houses, bird feeders, magical gardens including fairy and gnome, a beautiful, large flower bed, as well as a vegetable garden. We knew we had succeeded by watching the children’s excitement as they began to enjoy the classroom.